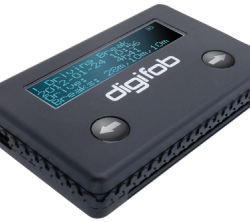 15 June 2019 is a big month for the next generation of digital tachograph. This is when the first vehicles will be fitted with smart tachographs. Concerned about breaches in tachograph security, the European Commission revised the legislation. Their objectives were to reduce fraud through tampering, improve the efficiency of the control of the system and reduce administrative burden. 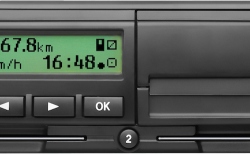 So Annex 1C (EU 2016/799) came into force in June 2016, leading on to the introduction of the smart tachograph in June 2019. But there is still a lot of confusion in the industry about the upcoming changes, and how it will impact drivers and transport operators. In principle, the requirements are the same for existing and smart tachographs. Fleets and drivers across Europe will still need to comply with Drivers’ Hours Legislation and Working Time Directive and digital data will still need to be downloaded, stored and analysed. But there will also be new features that do not exist in the current tachograph. Smart tachographs will have a GNSS (Global Navigation Satellite System) module which records the vehicle’s location at the start and the end of a journey, together with updates every three hours. Plus, road inspection officers will be able to communicate remotely with the smart tachograph using secure DSRC (Dedicated Short Range Communication), without stopping the vehicle. A small data packet will contain information on possible infringements. Think of it as a flag indicating that something may be amiss. The positive result is that if no issues are found, drivers may stay on the road and could continue their journey uninterrupted – meaning no valuable time is wasted on unnecessary roadside inspections. The regulations clearly state that only certain data will be transmitted, for example, vehicle calibration data and information on safety violations and malfunctions that have occurred in devices. But crucially, no personal driver information like names or addresses and the driver-related data such as driving and rest periods are also not transmitted. If irregularities occur, vehicles can be stopped for an in-depth inspection. What Do Transport Operators Need to Do? 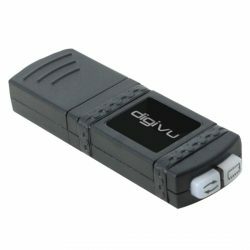 Just like today, digital tachograph data will need to be stored and analysed. Smart tachographs will include a new set of data: GNSS data, improvements to ferry mode and recording of events and faults. Along with current VU and driver data, the new information will need to be downloaded at regular intervals. Transport operators will need to check that their download tools and the tachograph and driver data analysis software can receive and analysis the new data set. More than 70 different additional data records can be transferred to fleet management by means of the standardized ITS (Intelligent Transportation System) interface. Whether drivers have given their consent for their personal data to be passed on is also indicated in advance. This ensures transparency – not just for the inspection but also for data protection. In the future, enhanced cryptographic security mechanisms will be required which necessitate a new encryption technology. Affected by this are communications between the speed sensor and the digital tachograph as well as tachograph map communications.